Does your Apple Watch give you wrist rage? If so, watchOS 3 might help. My biggest gripe with my Apple Watch is not the sluggish hardware, the lack of GPS nor the dependance on my iPhone. These are all problems to be sure. But it is the bad user interface design that often drives me so mad that my force-taps turn into force-thumps of frustration. With an update to the Apple Watch operating system expected at the Worldwide Developers Conference next month, here’s my top 10 list of interface improvements I’d like to see in the upcoming watchOS 3. These essential changes would spare my wrist from future incidents of wrist rage. Apple has recently erased all trace of the Apple Watch app launcher from its marketing. And who can blame them. The tiny hexagonal grid of circular app icons is fiddly to tap, and the apps themselves are sluggish and difficult to use. And yet, the app launcher remains unavoidable when you use the Apple Watch — it is bizarrely easier to reach than the watch face itself, since you pull it up with a single press of the Digital Crown. This needs a major rethink. Apps should be massively reduced in prominence and, where possible, they should be eliminated altogether. For example, if the built-in Workout app was extensible, it could support third-party running platforms like Nike+ and Strava without the need for third-party apps. And support for messaging platforms like Twitter and Facebook could be built right into the Notification Center. 2. 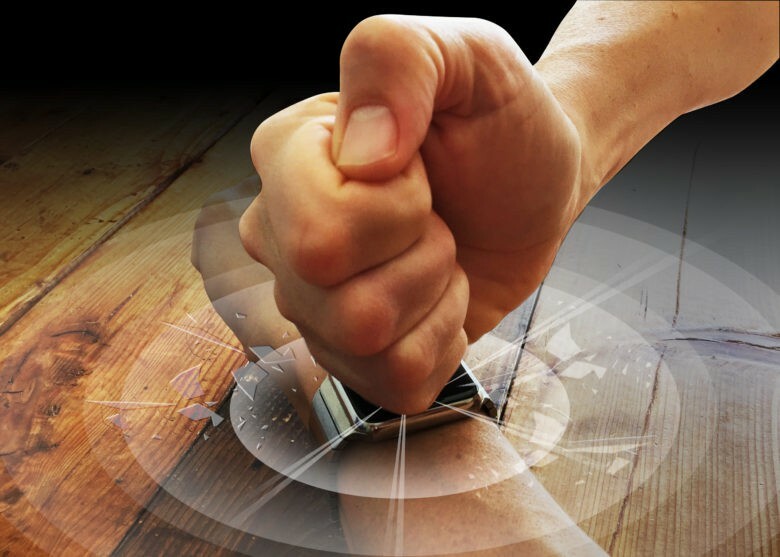 Pushing the Digital Crown should take you to the watch face. Always. 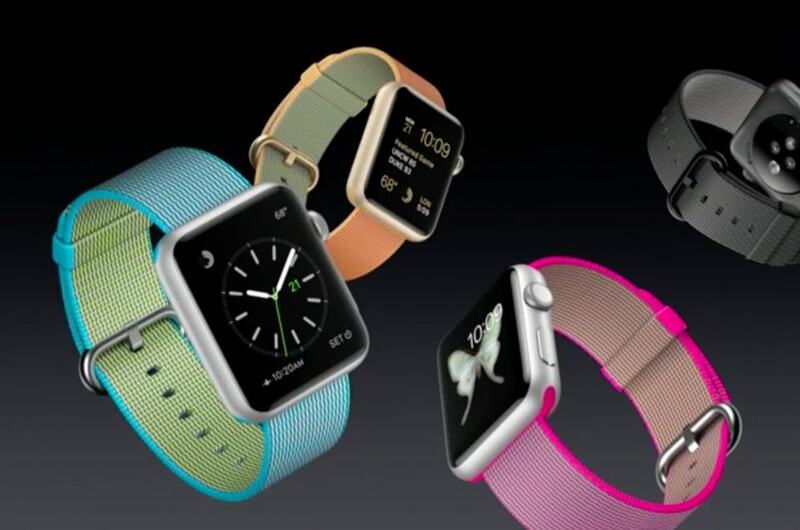 The watch face is the home screen of Apple Watch. Or at least it should be. The watch face is the single most important screen on the Apple Watch. And yet it often requires multiple presses of the Digital Crown to reach it: one to return to the app launcher, and a second to take you to the watch face. To make matters worse, with each press you have to wait for a fancy animation to finish. On the iPhone, pushing the home button returns you to the home screen. The Digital Crown is the Apple Watch equivalent of the iPhone’s home button, but the difference is that for the wearable, the home screen is really the watch face — not the app launcher. When Apple unveiled its smartwatch, the Digital Crown was positioned as a solution for zooming, since the watch screen was too small for the iPhone’s two-fingered pinch gesture. But this turned out to be a solution to a problem that does not exist. Apple Watch is not used for apps that need zooming, like photo and mapping apps. It is used for delivering short messages. Any app that requires you to zoom in to see something on the watch’s tiny screen has failed. Parsimony is the secret to great Apple Watch interface designs. The ability to scroll using the Digital Crown was only added late in the development process of Apple Watch. As a result, there are some odd incongruities with the way it has been implemented. For example, in the app launcher, scrolling the Digital Crown opens apps by zooming into them. This makes no sense at all. It’s about time Apple gave up on the idea of zooming on Apple Watch and accepted that the Digital Crown’s primary purpose is for scrolling. If pressing the Digital Crown always takes you to the watch face, then a new location is required for apps. The most obvious place to put them is where glances are currently located, with a swipe up from the bottom of the Apple Watch face. This leaves them still easily accessibly, but less prominent, since you could only reach them from the watch face, and no longer via a dedicated hardware button. This would also help to blur the rather arbitrary distinction between apps and glances. It’s time to rethink glances, too. The main problem with Apple Watch glances, which Cupertino calls “scannable summaries of the information you view most frequently,” is that they are so slow to update that it is just not possible to glance at them. In fact, “Stares” would be a better name for them, since you have to stare at them for ages as you wait for them to update. They also seem extraneous now that Apple has introduced third-party complications that do pretty much the same thing, albeit with less screen space. Rather than scrap glances altogether, I think they could work well as a “quick look” when you tap on a complication. If you are a developer and you want to create complications, notifications or glances for Apple Watch, currently you are forced to produce a watch app as well. This results in some developers creating pointless apps, while others decide not to develop for Apple Watch at all. For example, I develop a gym-logging app. Interactive notifications would be great on the Apple Watch, because they could show you what exercise you should do next and let you check off each set as you complete it. A complication would also be cool, so you can see your rest timer right on your watch face. But it is just not realistic to try to edit complicated workout programs using a tiny Apple Watch app. In reality, it’s always going to be faster to take your iPhone out of your pocket to do that. So, interactive notifications and glances are great for gym logging, but an Apple Watch app is pointless. Watch apps are the least interesting aspect of the watchOS platform. So it is about time they become optional for developers, rather than mandatory. The side button is currently used to access Digital Touch, the Apple Watch’s quirky messaging platform. And while this can be fun for doodling, let’s be honest — it is hardly a feature that is important enough to justify its own button. It should be relegated to an app, so the side button can be freed up for something more useful. There are so many situations when using the touch screen is not practical, like in damp conditions (which interfere with the capacitive touch sensing system) or when you can’t look down at the watch screen. This means that the physical buttons are invaluable. 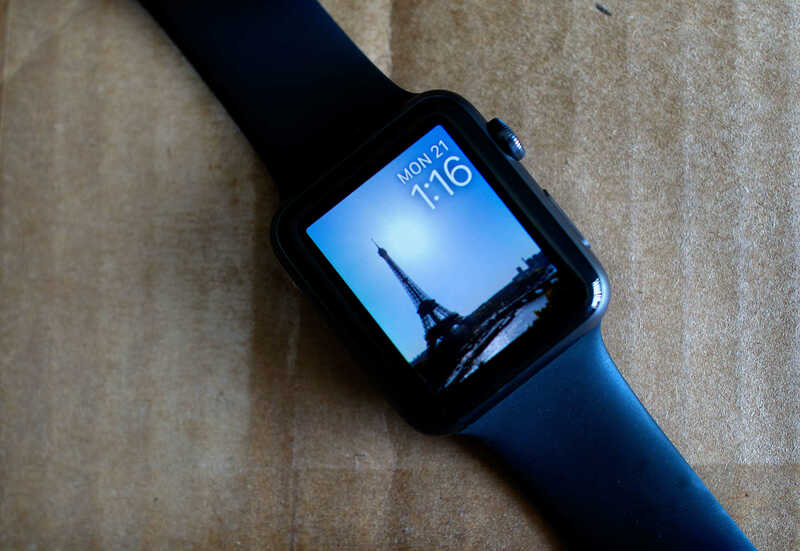 Apple Watch has only two, so it needs to make far better use of them. With a traditional web browser, you don’t have to click on the controls to use them — you can also tab between them using keyboard access and select them by hitting the return key. Apple Watch could offer a similar feature, letting you select the highlighted option by pressing the side button. This would require a fairly fundamental change to the watchOS user interface. It would require screens to provide “focus” for one user interface element at a time, so you could see what you would be selecting when you pressed the side button. But I think the benefits would be worth the upheaval: By eliminating the need to tap the screen in most cases, the screen will less frequently be obscured by the user’s finger. 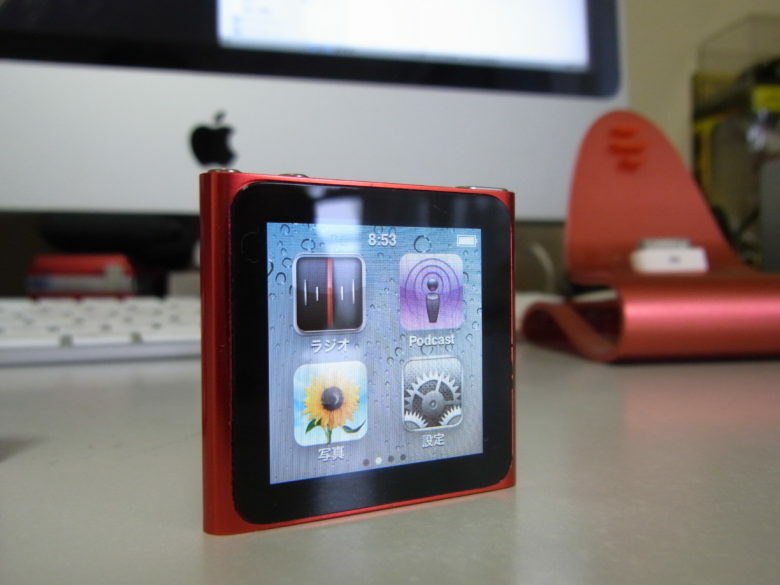 The sixth-generation iPod nano solved the problem of launching apps on a watch-size screen with a simple scrollable grid. The hexagonal grid of circular app icons that comprises the app launcher screen certainly looks cool. Initially, it was the trademark iconic image of Apple’s new wearable platform. But in practice, it has proven to be incredibly hard to use. The icons are just too tiny to see and tap accurately. Hexagonal layout app launchers have a grim history. Microsoft proudly launched a similar “honeycomb menu” for Windows Mobile 6.5 way back in 2009, shortly before the platform was scrapped. The irony is that Apple solved the problem of launching apps on a tiny screen years ago with the sixth-generation iPod nano. App icons were positioned in a regular two-by-two grid, with the ability to swipe between multiple screens. The icons were easy to see, had space for a label and were perfectly finger-size for tapping. This was the ideal solution for the diminutive iPod, and it would be great for Apple Watch as well — albeit scrolling down with the Digital Crown, rather than swiping left and right. Even before you install any third-party apps, the app launcher presents a bewildering array of choices, making it fiddly and time consuming to find the app you are looking for. Personally, I get the Timer and Stopwatch apps mixed up all the time. Their icons look so similar that I have to stop and think for a moment to work out which one I need. The iPod nano again provided a great solution for this. Its menus were hierarchical, so they were grouped thematically (a bit like folders on iOS, but without the option to create your own). Structuring the app menu in this way would enable the Alarm, World Clock, Stop Watch and Timer to all be grouped together into a single menu called “Clock,” removing the confusing clutter of similar orange icons from the top-level view. Third-party apps, which are largely useless, could be lumped into a “My Apps” or “App Store Apps” menu at the bottom. Complications can be very useful. They not only provide information at a glance, but are also convenient shortcuts to launching the apps that you use frequently without needing to delve into the app launcher screen. But there is a limit to the number of complications you can fit on one watch face. To solve this, I’d like to see Apple enable users to configure multiple watch faces, each with different complications installed, and have them all to view at once so you can quickly swipe between them, without having to use the force-tap configure mode. You should also be able to specify in which situations you want to use each Apple Watch face, based upon time of day, geographical location or activity. For example, you could have one watch face for when you are at work, another for when you are at home and a third for evenings and weekends. Your Apple Watch could automatically switch between them so it is always presenting the right information based upon what you are currently doing. And you could simply swipe from left to right to switch between them manually.